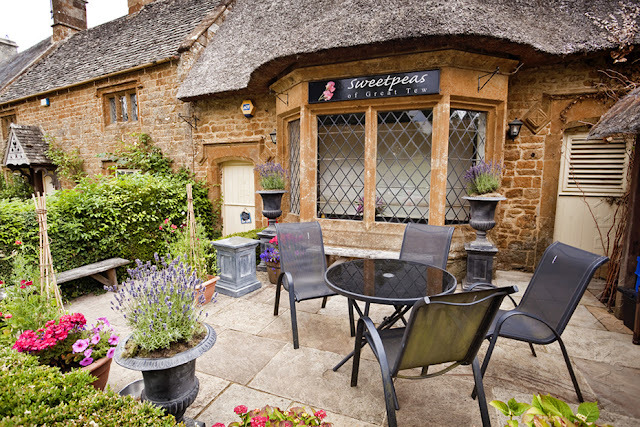 Nestled in the Cotswolds and overlooking the Worton Valley from its limestone ridge location, Great Tew has been described as one of England's most beautiful villages. Historic remains have unearthed a barrow just south of the village and a Roman mosaic floor and hypocaust heating system from a 4th century Roman villa. By 1086 it was recorded in the Domesday Book as a sizeable settlement and it played an important role in the Civil War and in The Industrial Revolution. make Great Tew the picturesque village it is. In 1780 Great Tew estate was bought by George Stratton, who had made a fortune in the East India Company. He died in March 1800 and was succeeded by his son George Frederick Stratton. The manor house had evidently fallen into disrepair, as the Strattons lived in a smaller Georgian dower house. 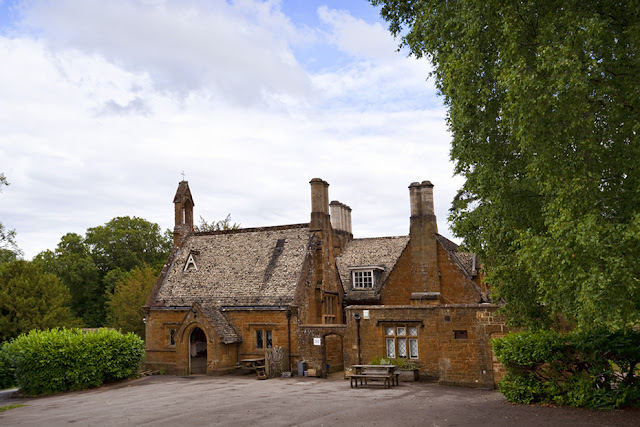 In 1815 Matthew Robinson Boulton, the son of the manufacturer Matthew Boulton of Soho, Birmingham, bought Great Tew Estate, and over the years had the manor house re-built in stages. Great Tew remained with the Boulton family until M.E. Boulton died without heirs in 1914. As of 2015 the house is largely unoccupied and clad in scaffolding and plastic sheeting. It is a restoration project for the current owners. You can see some fascinating pictures of the interior here, taken in 2014 by an adventurous photographer. The Falkland Arms public house is mostly a late 17th century building, in part possibly earlier. 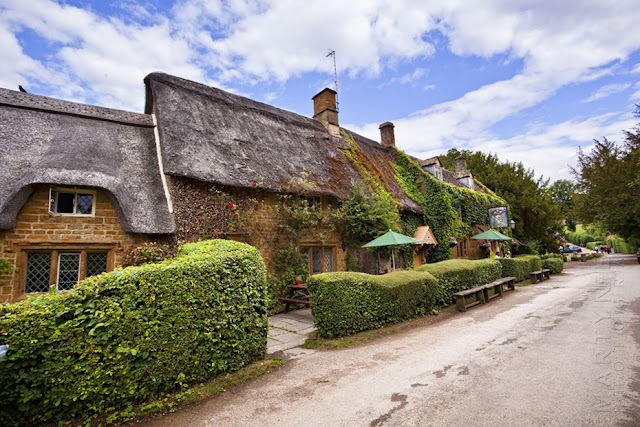 The village pub, The Falkland Arms, gets its name from Lucius Cary, second Viscount Falkland, who inherited the Great Tew estate in 1625, and who died at the battle of Newbury in 1643 aged 33. Outside seating at the Falkland Arms, among the undergrowth! Great Tew is recorded as having two watermills by the 13th century, and both were still in use when the estate was surveyed in 1778. Mill Lane is named after a mill that was built or rebuilt in the 17th century for wool processing. Traces of its mill pond, mill stream and wheel chamber were still visible in the early 1980s. 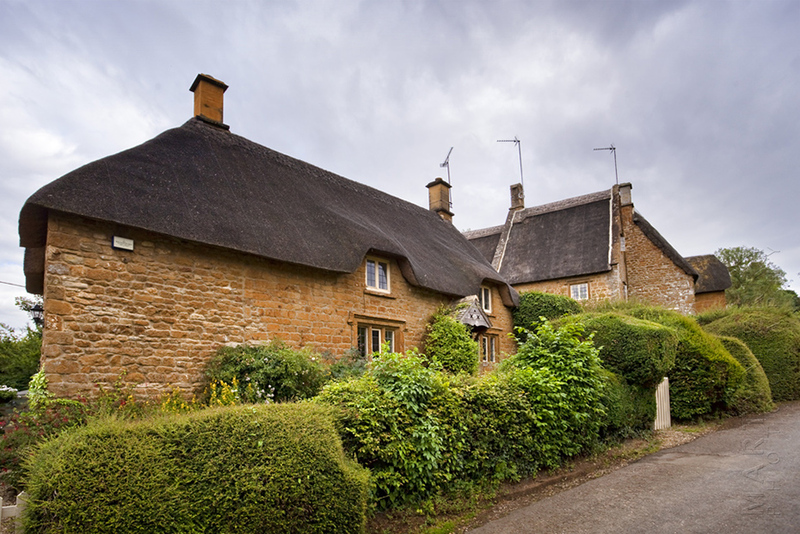 Many of the homes in the village seem to have been built in the 17th century, during the Great Rebuilding of England. 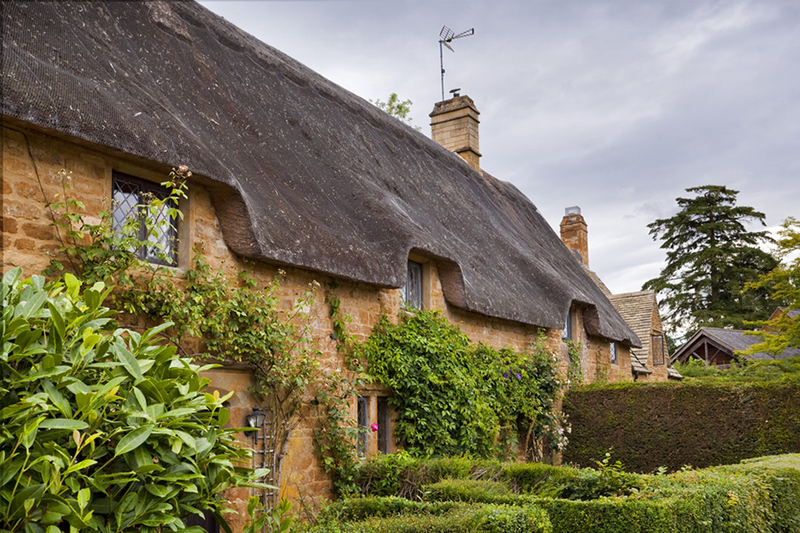 Every cottage and house is built from the local ironstone from Great Tew's own quarry, and most have thatched roofs. 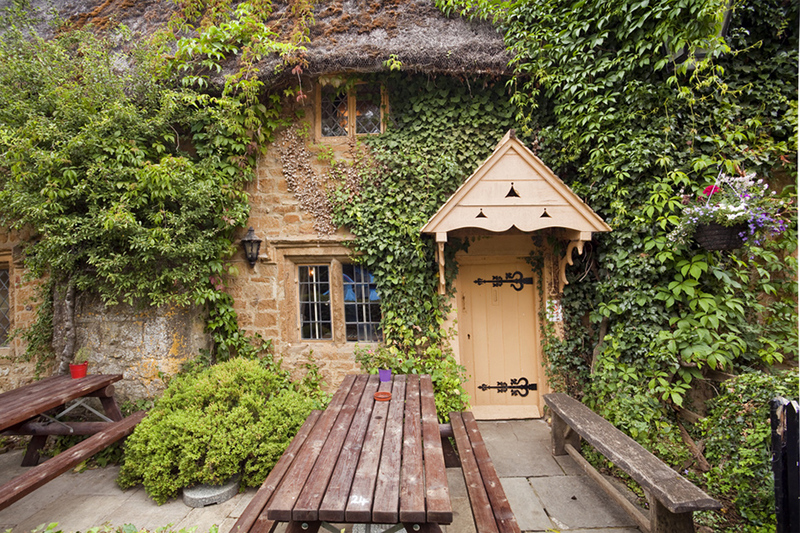 Many of the cottages in the village are Grade II listed buildings. After M.E. Boulton's death in 1914 Great Tew estate was held in public trusteeship for nearly fifty years, during which time many of its historic cottages and houses were unoccupied and allowed to become derelict. 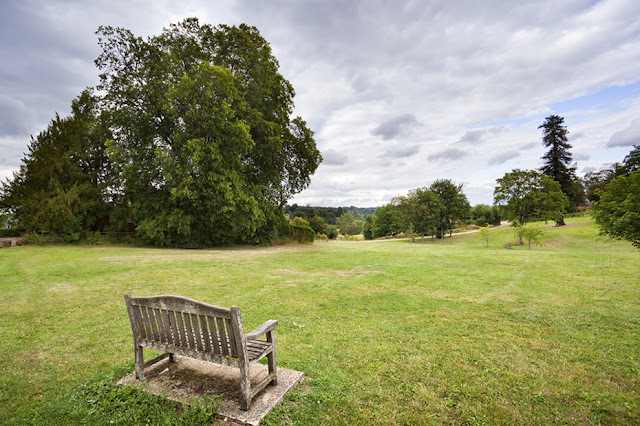 In 1962 Major Eustace Robb inherited the estate and declared he would restore its prosperity and buildings. 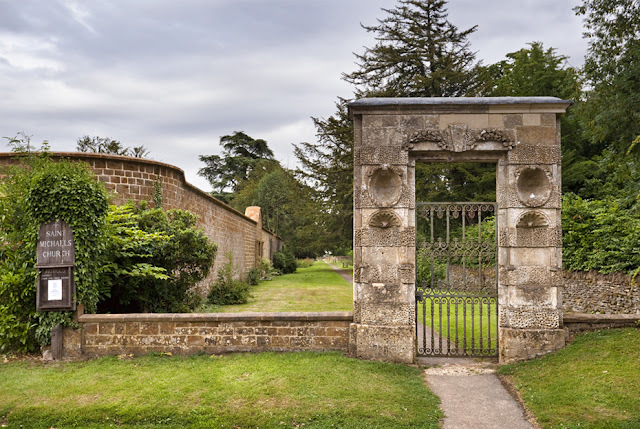 However, a decade later many cottages were continuing to decay and Sir Nikolaus Pevsner, the German-born British scholar of history of art and, especially, of history of architecture. condemned their deterioration as "one of the most depressing sights in the whole county. Terraces of cottages lie derelict and will soon be beyond hope of restoration. A scheme of gradual rehabilitation is said to be in progress, but nothing has been done meanwhile to prevent the decay of unused cottages, some of which are completely ruinous and will need to be entirely rebuilt". Looking at the village today it's difficult to imagine the state of disrepair many of the buildings were in, there is an example here, to give you an idea of the work that was needed in their restoration. The local florists and coffee shop, just what every village needs. By 1978 the village had gained local and national notoriety thanks to the mis-management of the estate, and another academic authority described Major Robb's treatment of Great Tew as a "notorious example" that had "demonstrated that a singleminded or neglectful owner can still cause both the community and the village fabric to die". 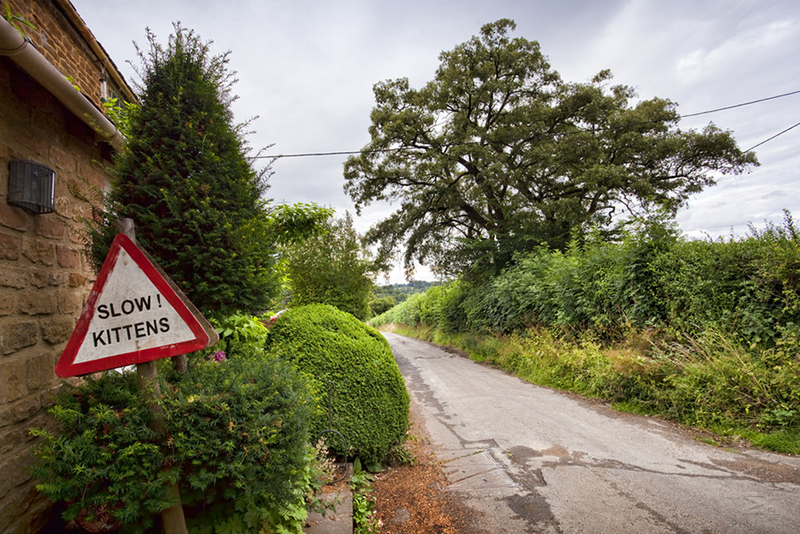 Also in 1978, Great Tew village was declared a conservation area. In 1985 Major Robb died, leaving Great Tew estate to the Johnston family. The Johnstons have worked to restore the village and in 2000 reopened Great Tew's historic quarry to supply ironstone for building. The village school, built in 1852. A view over the Great Tew estate. 17th-century gateway leading to St. Michael's parish church. 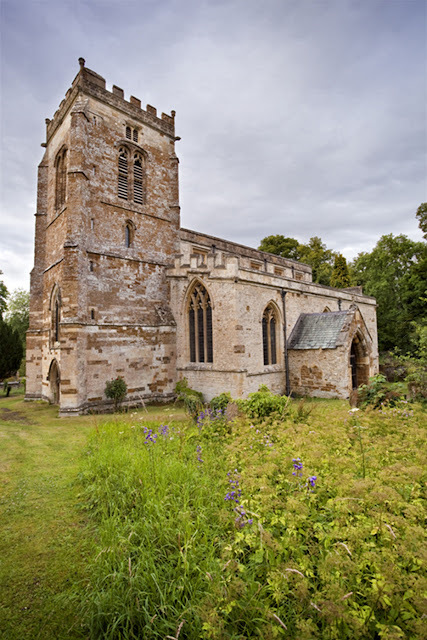 St Micheal's was established before the mid 11th century when the village was known as Church Tew, distinguishing the village from neighbouring Little Tew, which lacked its own church. The Church of England parish church of Saint Michael and all Angels was originally Norman, and the south doorway from about 1170 survives from that period. St Michael's was rebuilt in the 13th century, and the arcades of stone pillars inside the building and the south porch survive from this period. A view of the church and it's rather pleasing overgrown graveyard. A little warning sign on one of the lanes leading out of the village. 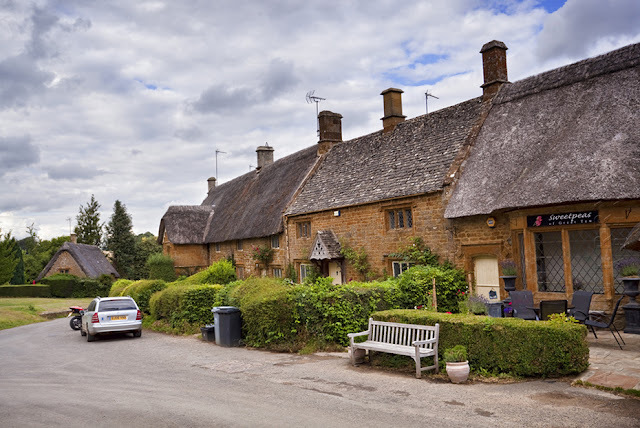 And there we have Great Tew, now a picture perfect village, that has certainly had a history of mixed fortunes. Next time it's the turn of one of a trio of villages named after the ancient royal hunting forest of Wychwood, namely Shipton-under-Wychwood. You can see more images from the beautiful Cotswolds countryside on my website.